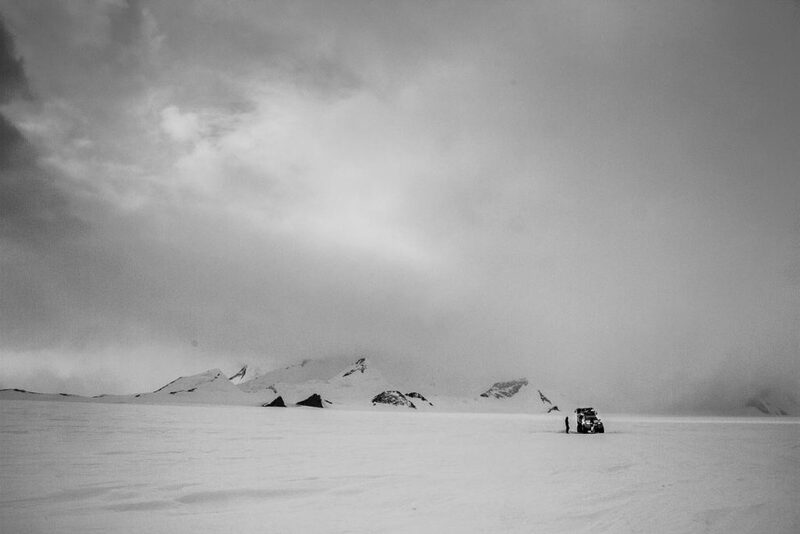 After driving across the Antarctic continent we dropped the skiers, Doug Stoup and Parker Liautaud at the bottom of the Leverett glacier and then followed them up through the mountains in the truck. The Harold Byrd Mountains in the background don’t look huge, but perspective in Antarctica is always confusing and these really are big mountains. Having been on Polar expeditions to both the Antarctic and Greenland Ice Caps I always find the last time you see the mountains as you head in to the center of the ice cap, and the first time you see them on your return, to be quite pivotal moments. I imagine it’s a bit like sailors sighting land after a long time, you become quite weary of the constant flat horizon and white landscape, and to see something different comes as a welcome relief to the eyes and the brain.